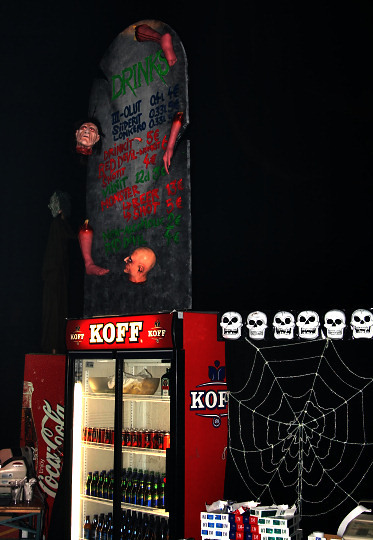 For Finns Halloween hasn't been marked as a serious celebration in the past, but for a few years now people have realized the markets for special days, and thus Halloween is now an official festival in the calendar. 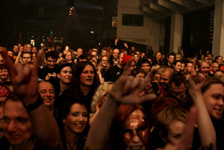 A group of musicfans in Finland came up with an idea to start a very own Halloween festival in Finland too, not that this years Halloween party was the first ever here, but this year saw the first big metal-influenced Halloween festival. 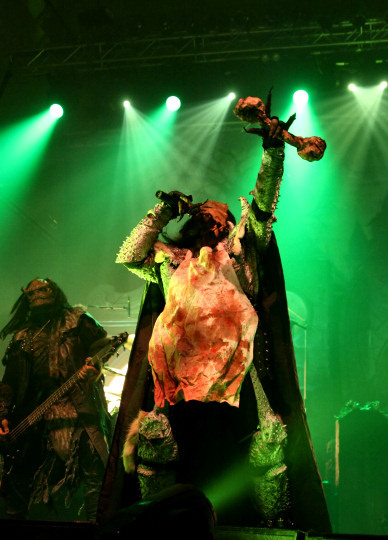 The organizers had put a lot of thought for the event, and the perfect main band for the event was of course the Eurovision song contest 2006 winner, Lordi. It was interesting to see how it all went down for Finns and one thing that raised curiousity too was how many people would be dressed up for the occasion, as Finns aren't yet that good in it. Giving the answer immediately to this question when entering the scene were the many cute or scary clothes colouring the place. People had actually taken note of what the occasion was, but the percentage of costumes could've been higher. When looking things more closely, all kinds of neat things were spotted. The venue had been decorated to suit the metal festivities, with spiders and skulls and the bartenders scared people with their not all that impressive zombie-costumes, and of course you couldn't avoid bumping into vampires, who were as pleasant as seen in the movies. The venue also had a little cemetary, which didn't impress everyone. But it wasn't all scary, a soothing waterfall was right next to the bar. 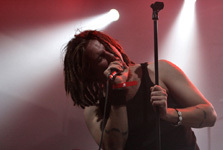 The agelimit was 18, so not everyone could attend this fun festival and see the all-Finn band line-up. But the crowd was still plenty, huge in age gap and very colourful. 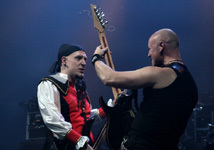 Kaapelitehdas presented only one stage. Due to the many bands, the night with "only" six bands ended too late even for someone who practically lives at concert venues. After all, the event ended at four in the morning! As said before, this echoing venue isn't the best place for bands, be it any band on stage, so again the sounds weren't the best. The gothic metal band SaraLee was missed out, and many others missed them too, but it wasn't due to any lines outside. Finns have a bad habit starting their parties really late, and the first bands played only 30 minutes. SaraLee had to play to a really empty place, along with the next act KIUAS, which plays really tight power-death metal with mixed elements. It was sad to see this great band playing to such minor crowd, with only a few hands in the air. 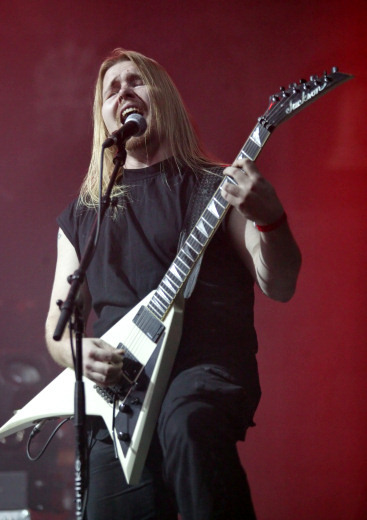 At least a lot of thought had been put to each bands performance, and during the whole event people could see pyros, great lightshows and all on stage, which gave more credibility to the bands. 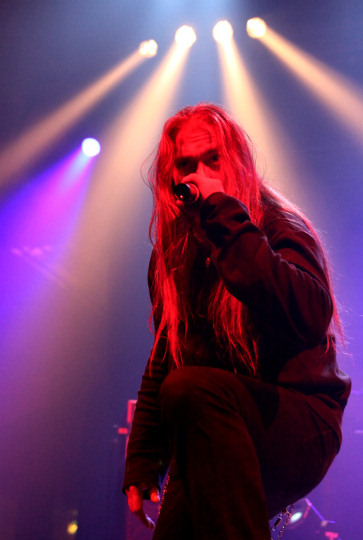 Kiuas had decided to introduce the crowd to their latest album, which sounded as good as their first one, but having not heard their latest but a few times, I craved for more older songs. 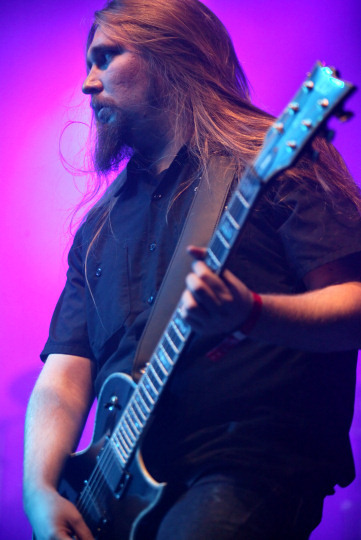 But Kiuas is so tight live, that anything goes really. 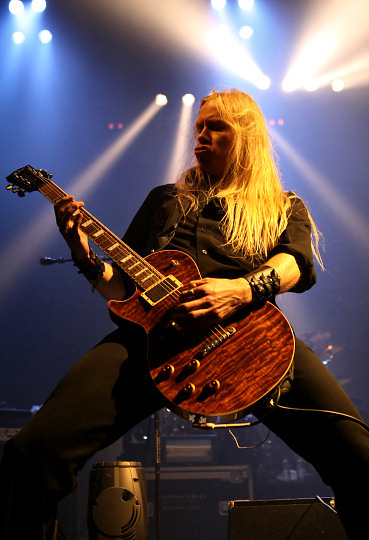 Their guitarist Mikko Salovaara knows how to play his instrument and he's also charismatic, which can also be said of their singer Ilja Jalkanen. Their bassist Teemu Tuominen had contributed for the event in the form of a pirate outfit. Too bad he was the only one dressed up in the band. 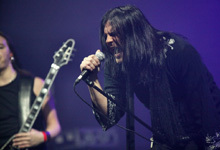 Kiuas also introduced two guests on stage, one was Niko from Amoral, who is very convincing with his vocals. A few songs heard: Of Ancient Wounds, Bleeding Strings, Warrior Soul, Black Winged Goddess. Most of the people present seemed more into gothic metal, and that was up next again. 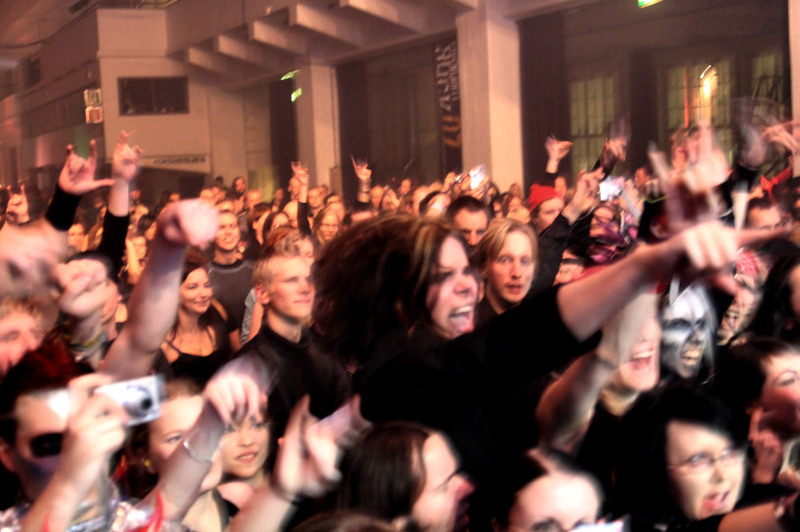 It was easy to pick the goth fans from the crowd, usually looking gloomy with their gothic presence. Even with a crowd like that, TO/DIE/FOR wasn't the most popular band of the evening. 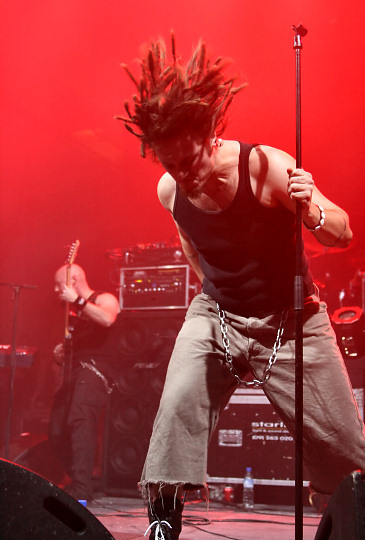 The band has changed as a live band for the better, being more energetic on stage and playing more tightly, but still they didn't convince all. 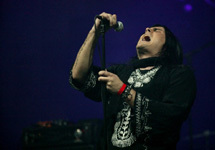 There were also technical problems, and the vocals didn't get through all too well. 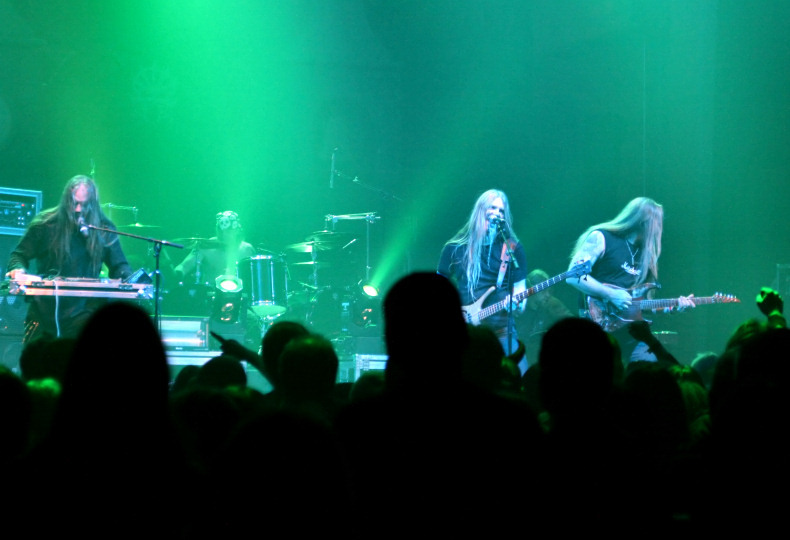 The band had flashy strobo lights, as did Kiuas too, which didn't suit all in the audience. 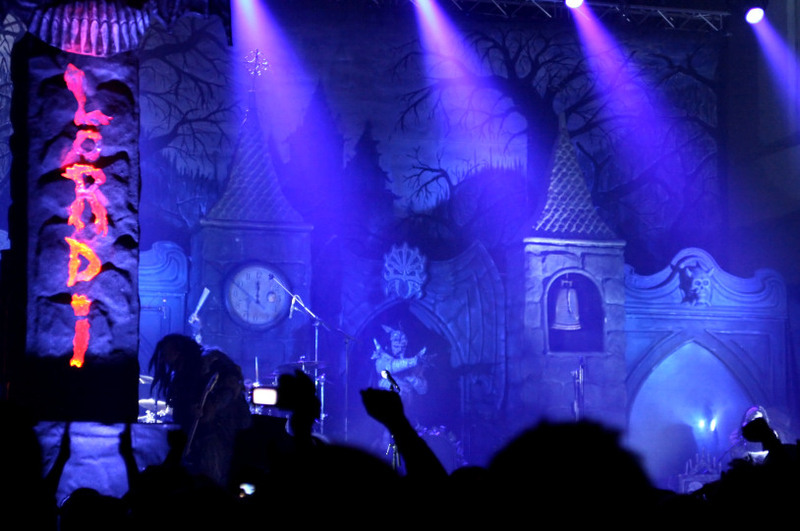 The smoke was in good use, it even covered the band on stage so well, that it was hard to see them. The bands were also visible through many screens. Seemed like most people watched them through the screens, so the mood in the venue wasn't all that uplifting. 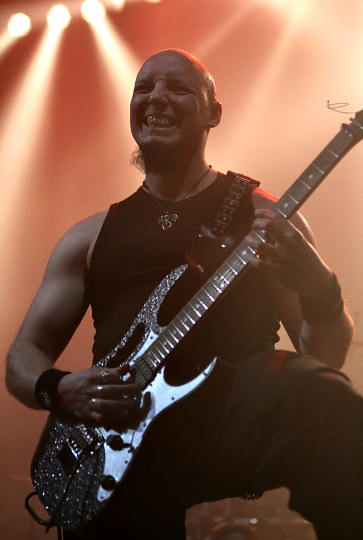 But then again, To/Die/For isn't selling happy metal. A few songs the band played: Wicked Circle, Guild Ridden State, Hollow Heart, New Heaven, Live In You. When LULLACRY came on stage after ten, the crowd was in a better party mood, but still half of the hall in front of the stage was empty. 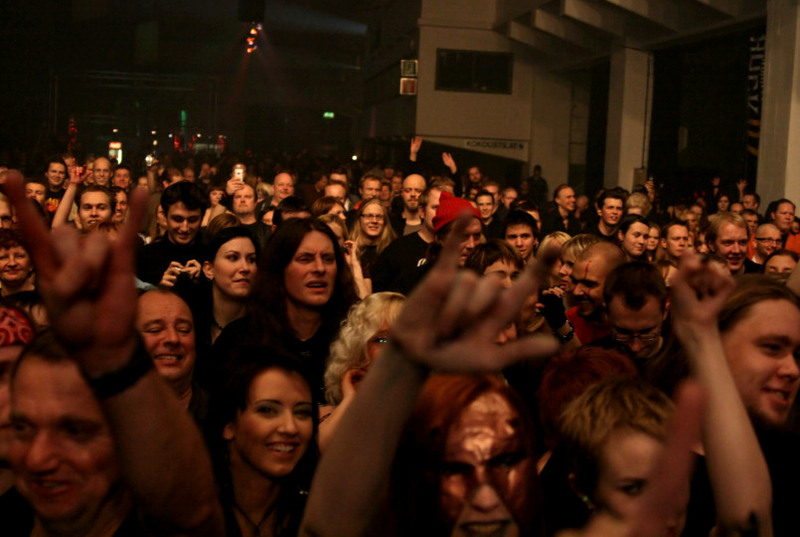 Half from the crowd was still mingling in the bar area, but Tarot and Lordi changed that. Lullacry didn't seem too bothered about the crowd loss, and entertained as strongly as they usually do, which proved to be the best show of the evening so far. Some people were trying to catch the band from upstairs, but it was difficult, no screens showed there and the normal view to the stage was blocked. The band's "Stranger In You" can be heard in the game "The Sopranos: Road To Respect". 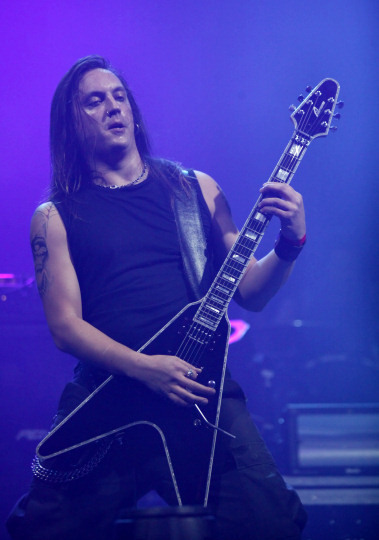 It should bring more fans to the band, that hasn't gained the success they should've with their uplifting melodic and catchy hard rock that is also radio friendly. The bands singer Tanja is always a good eyecatcher on stage, although the whole band still needs to improve with their performance, which is somewhat passive. 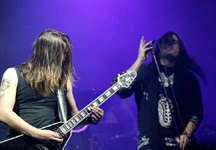 But the band is skillful and rocks with t heir music. One band a metalhead can count on to rock on stage is TAROT, and they did just that. Being professional both show-and musicwise, the band always gets their crowd in a good mood. Up to this point people seemed quite uninterested in the bands, but just before Tarot started, people rushed in the front rows. 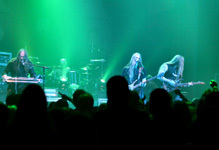 Most of their fans are long-time fans, but they've gained new fans through their singer-bassist Marco Hietala's other band Nightwish. It was easy to spot the older fans though, usually it was showing in the age or for instance in the inside jokes the crowd was shouting to the band, which enjoyed interacting with their fans. 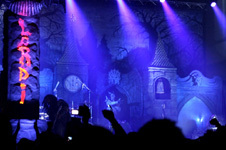 Half of the set included new songs from their latest album "Crows Fly Black", and those songs worked as powerfully as any other Tarot songs live. 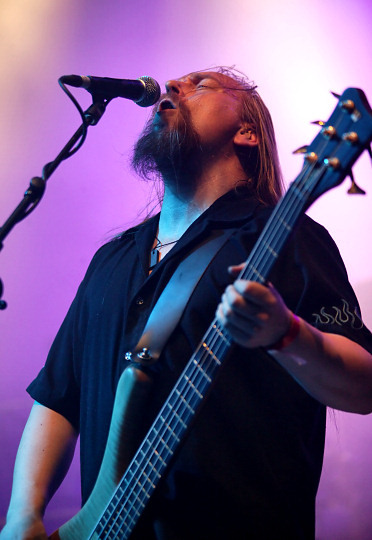 While Hietala was giving his normal humourous speaches and singing his lungs out, Tommi ”Tuple” Salmela joined the vocal duties with additional strong performance. His vocal performances have become very popul ar among Tarot fans and it's no wonder, the man can sing and easily fills the stage with Marco. 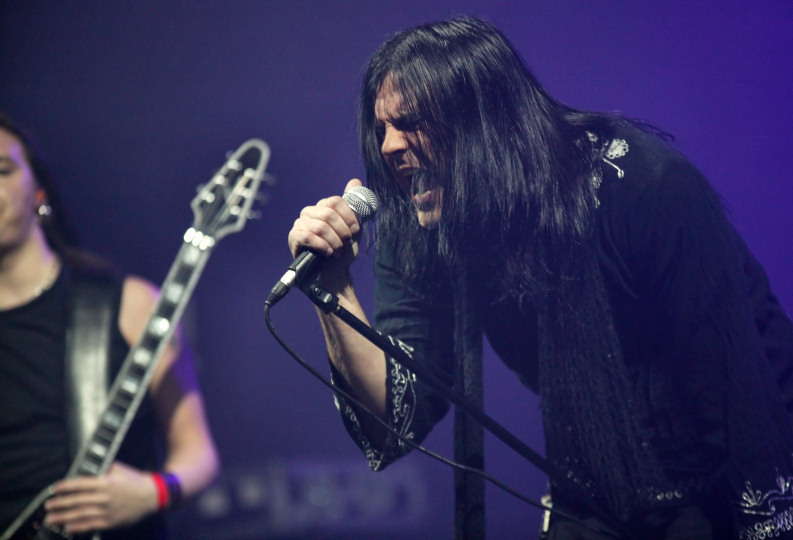 Keyboardist Janne Tolsa can hardly stay put either, but since he's not able to budge from his keystand, he along with guitarist Zachary Hietala and drummer Pecu Cinnari gave more room to the vocalists, who always seem to enjoy their spotlight. I've written loads of articles about this band, and I can sum them into one word; perfection. 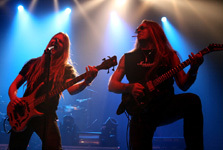 Check this brilliant power act anytime they come closeby your town, they rock your heart out! It was no surprise the last band of the day, the Eurovision song contest winner LORDI, was the most waited band of the evening. Too bad their most passionate fans, the youngsters, couldn't make it here. Instead the band was still "worshipped" by other passionate fans, who blocked the front rows well and screamed a lot during the whole show. The band started at half two at night, so the long hours started showing in everyone by now. The show started as spectacularly as was expected, hitting it off with a Kiss-introtape, then clock booming ominously with a horror flick feel. 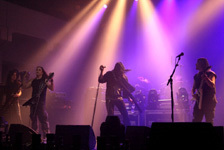 Finally "SCG3 Special Report" brought the band on stage with pyros blasting and Mr. Lordi stepping out from the gloomy gates on stage. The front row had to be bothered of the noiselevels from the bombs etc, but earplugs fixed that. 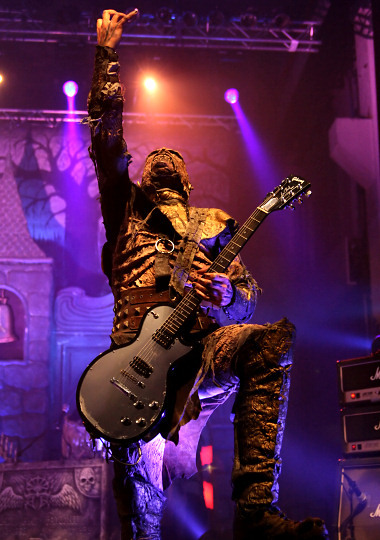 Eventhough Lordi is known to be a spectacular act, for a few shows even their roadies have dressed up, and this was one. A cool addition to the festival. The band started their set with the thundering "Bringing Back The Balls To Rock", and the crowd either loved or hated the band for their act. Some metal fans curse against this costume-party, hailing to the honest metal, but personally I love both styles, the stripped down one and the entertaining one with costumes. 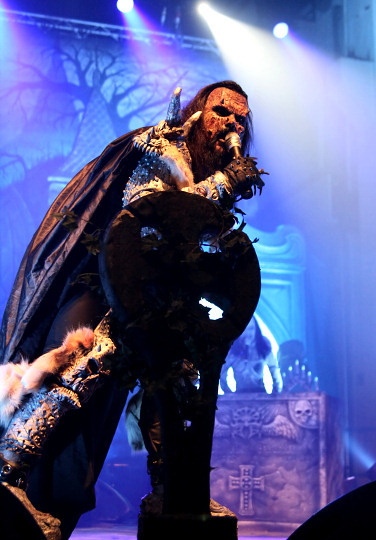 And Lordi is plenty in those and props. 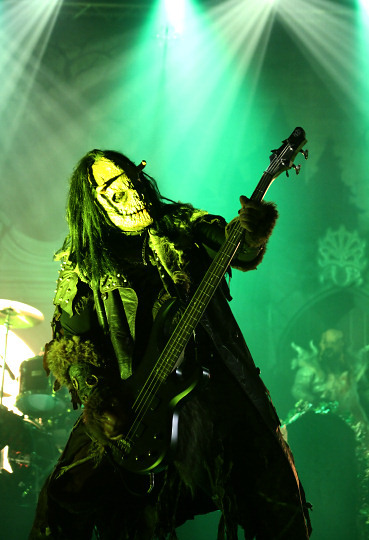 The fans saw them with fleshy clubs, recoilless rifle (RCL), circular saw (all fake of course), body parts in sticks, buckets and wherever and of course Mr. Lordi changed his outfit a few times. 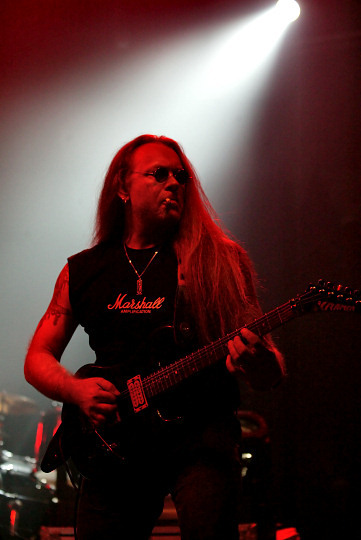 One change happened during "Blood Red Sandman", a nice change into a nasty Santa Claus right under Christmas. This one you wouldn't want visiting your kids! Then it was time to turn into a butcher, and all the while the bombs went off, pyros were heating up the place and the other band members (bass-Ox, guitar-Amen, drums-Kita, keys-Awa) were playing their monstrous parts, trickering with either firespitting umbrellas, feary faces and guns. When the concert had went on for a good while, it was time for a drum solo. 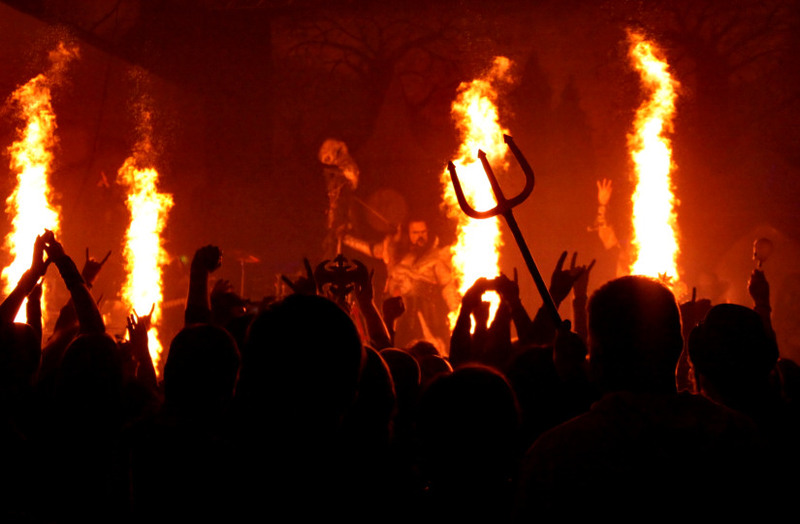 Just before this, while playing "It Snows In Hell", the crowd was starting to leave though. The drumsolo was a medley from many bands; at least Wild Side (Mötley Crüe), Youth Gone Wild (Skid Row), Billion Dollar Babies (Alice Cooper), Balls To The Wall (Accept), Wild Child (W.A.S.P.) and Burn (Deep Purple) bits were in it. Definately much more interesting drumsolo, than what usually is heard. Those who stayed till the end of the show still heard the best songs from the band. The show ended into the Eurovision winning song "Hard Rock Hallelujah", with Mr. Lordi wearing a Lapland hat, showers of confetti, pyros and finally the band bowed. The Eurovision winner left the stage as dramatically and festivally as only a winner can. A lot of crowd had left before the doors closed at four a.m, but those who were still at the scene were having a great time. The crowd was spiced with a whole bunch of Finnish celebs, from Big Brother-show to weather reporters, and the band members also walked among the crowd. People were curious to chat with them of course. Considering not all went up to plans, who knows what next year brings, if nothing at all, but the main band for next year raises questions. 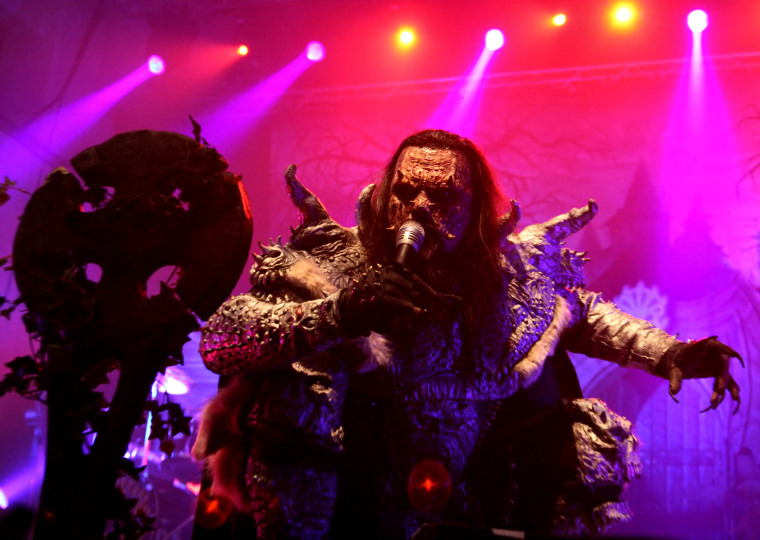 Who could possibly take over Lordi's place in a festival like this?